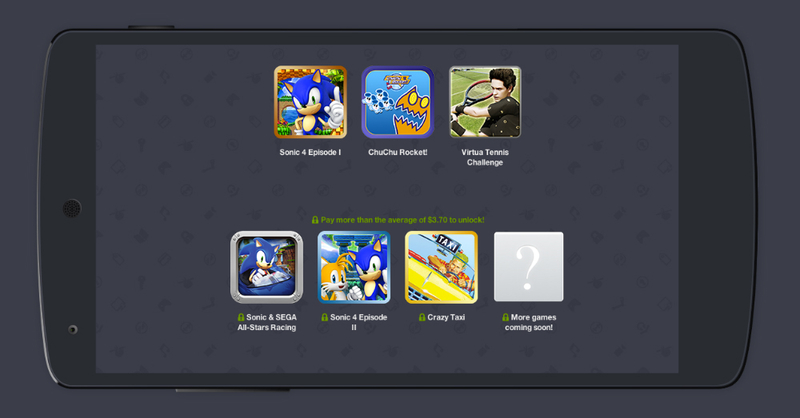 A new Humble Bundle is available for lovers of SEGA titles, specifically titles which involve Sonic the Hedgehog. Today, people feeling charitable can pick up Sonic 4 Episode I, ChuChu Rocket, and Virtua Tennis Challenge for whatever price they would like, but if you pay over the average of $3.70, you can also get Sonic & SEGA All-Stars Racing, Sonic 4 Episode II, Crazy Taxi, and more to follow soon. With Humble Bundles, you choose your price for the games, then determine where you would like the money to go. You can split it evenly between developers or can choose to give all proceeds to a predetermined charity. This Humble Bundle is directly involved in aiding the Child’s Play Charity, WaterAid, and UNICEF. After a few days, Humble Bundle always adds in more games, so for a very low price, mobile gamers can grab a ton of great SEGA titles, so this bundle is not one to pass up. Plus, it’s for a good cause!